On a bright and sunny Saturday afternoon, my boyfriend and I were looking for something to do after heading back from brunch in Hamilton. His mom suggested we check out the beautiful lavender fields at Weir’s Lane Lavender & Apiary in Dundas, Ontario, and boy am I glad we did! 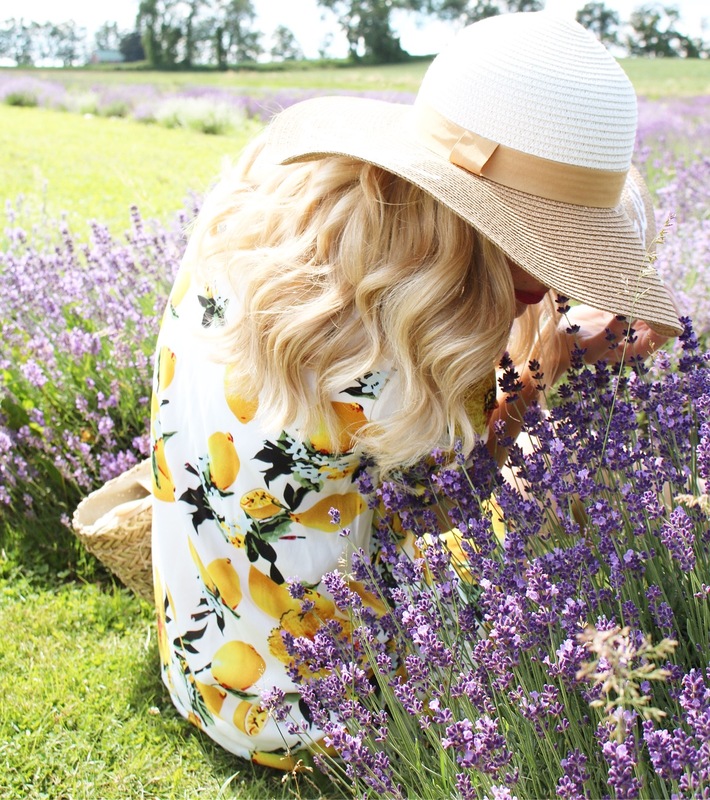 There is really something so romantic about lavender, especially when you catch it in full bloom! Dundas Ontario is known for it’s sprawling hiking trails and breathtaking waterfalls (Tew’s Falls and Webster’s Falls). 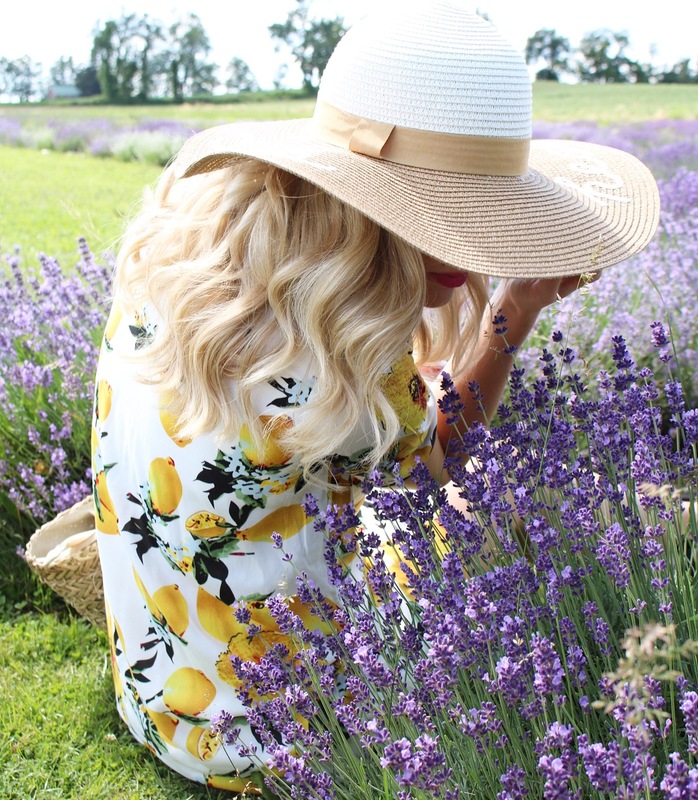 You can now add Weir’s Lane Lavender farm to your list when you visit! I don’t think I’ve ever really given lavender much appreciation before seeing rows upon rows of both French and English lavender. 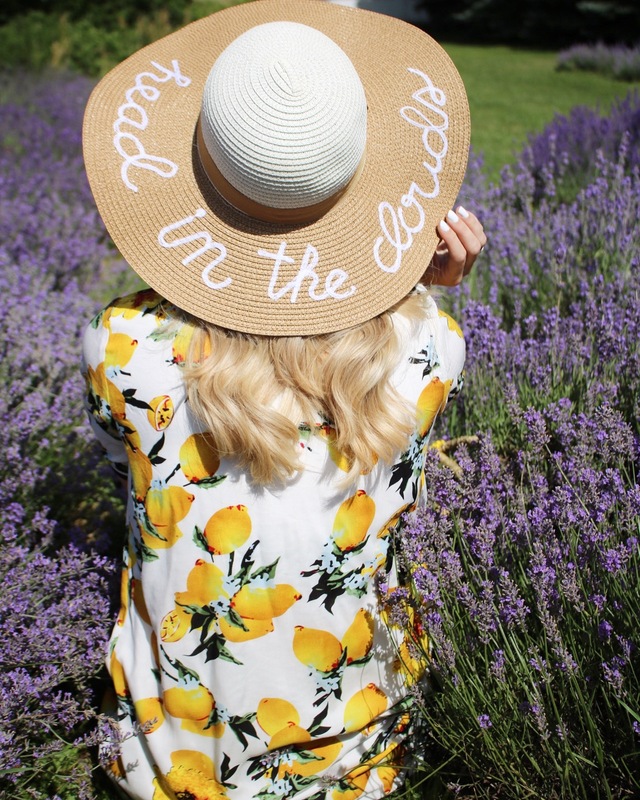 When we went (back in the beginning of July) the lavender flowers were in full bloom and put on quite the show. This was a good time to go and the colours were vibrant and all of the buds had bloomed at this point! 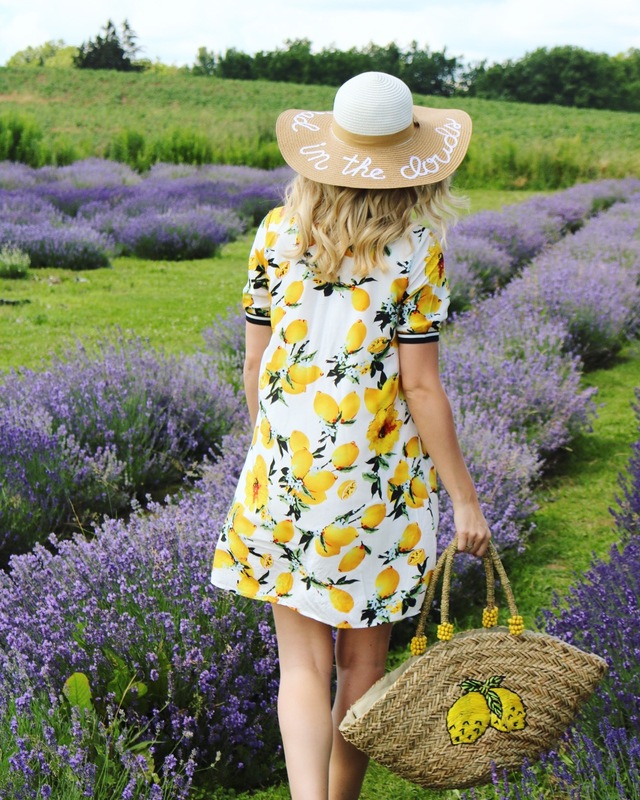 When we pulled up to the farm we were directed by very friendly staff to the front field and were even shown the difference in look and smell of English and French lavender. We visited around 3:00, and the farm closes to the public at 4. It was a little busy at this time but I think it was less busy then going earlier. The views and the smells were absolutely breathtaking and made for one of the best backdrops I’ve ever had for my photographs! I could have sat here for hours just taking in all the beautiful sites and smells of the fragrant lavender. 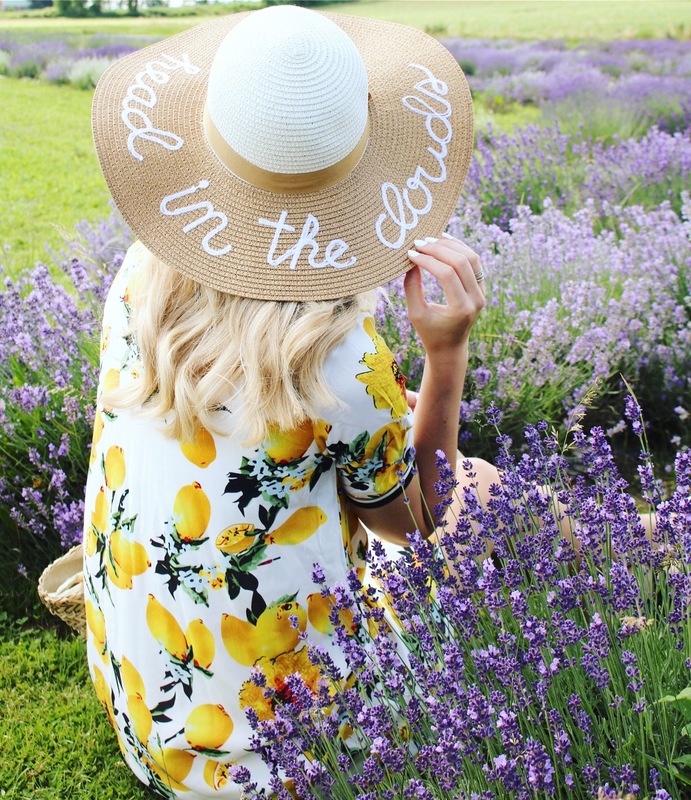 We then headed around back where there was more lavender and tons of opportunities for pictures! Opportunities are available for professional photographers to reserve time to privately photograph without the public in the background for special events like engagement shoots, weddings. Please visit their website for details. 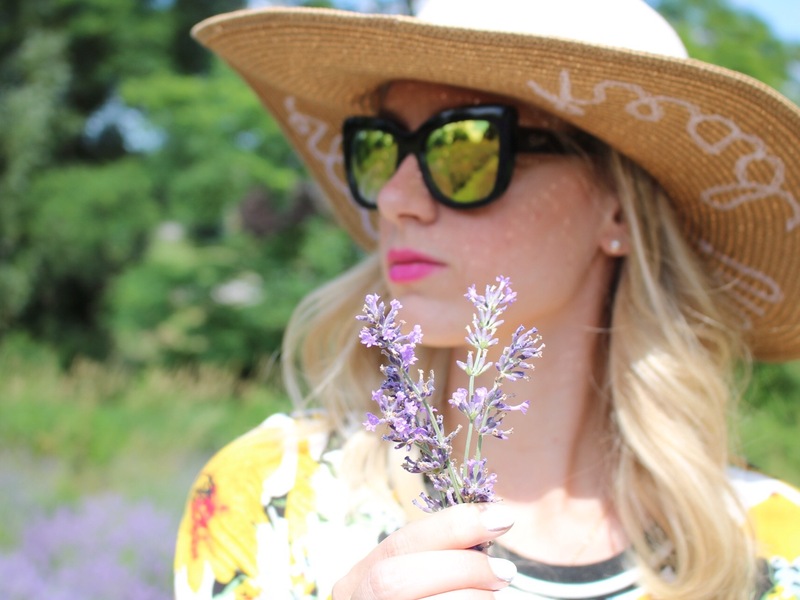 I really wanted my outfit to pop in a sea of purple and be fresh and summery– I think it did just that. 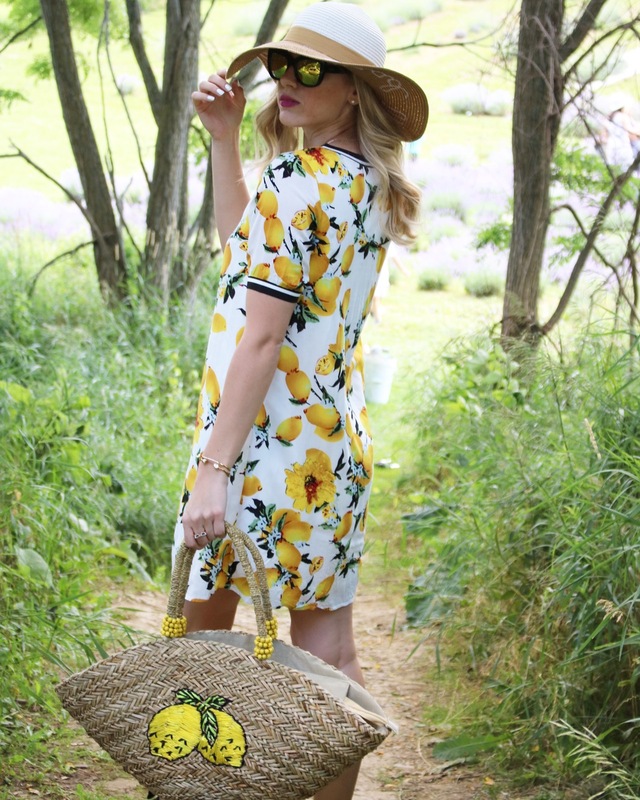 I went with a lemon printed dress and straw tote bag. 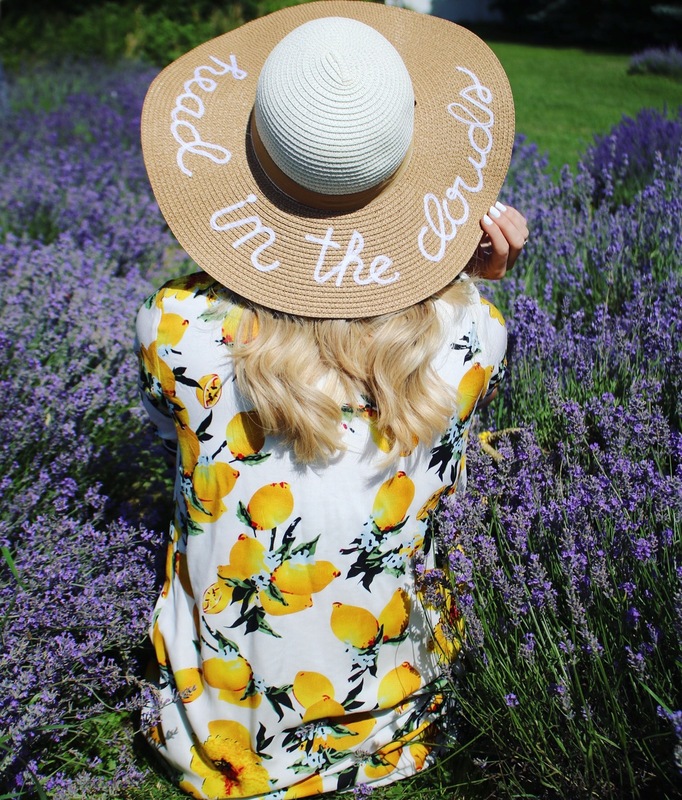 Of course, it would’t be a summer outfit without a large straw hat. I just loved the saying on this hat and thought it was perfect for the occasion. 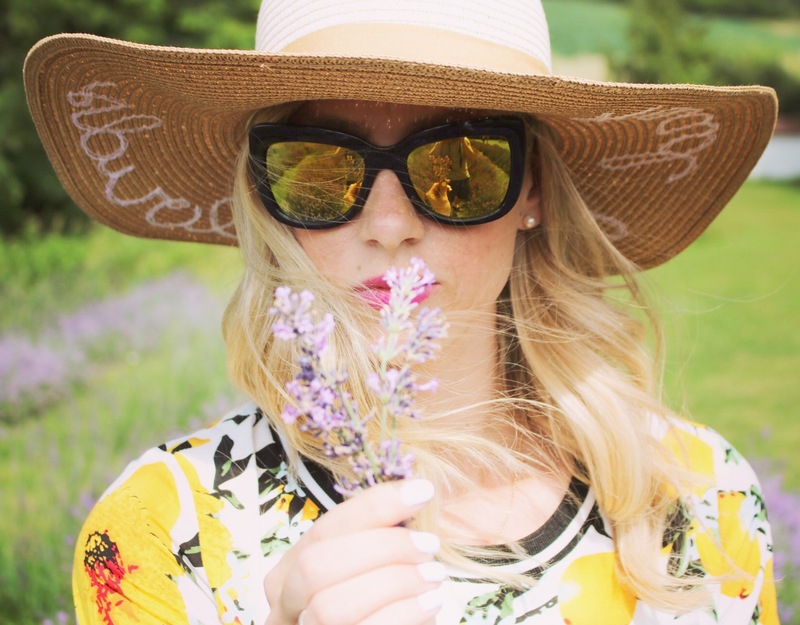 I finished off the look with a pair of matching yellow sunglasses in keeping with the fresh look. Located inside is the shop. 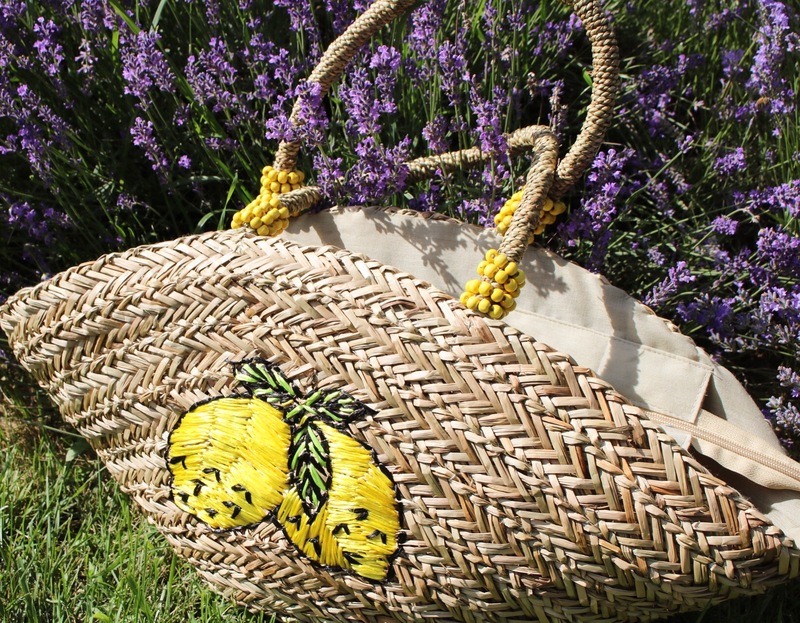 It sold everything from lavender plants, dried lavender to essential oils and culinary lavender and honey (also harvested on site). I am so glad we were introduced to this gem and will definitely be coming back next year for another beautiful visit!